Le'Veon Bell now interested in joining the Ravens? Le’Veon Bell now interested in joining the Ravens? Unlike his teammate Antonio Brown, star Pittsburgh Steelers running back Le’Veon Bell has been somewhat quiet on social media. As Bell was holding out throughout the 2018 NFL season, that wasn’t always the case. 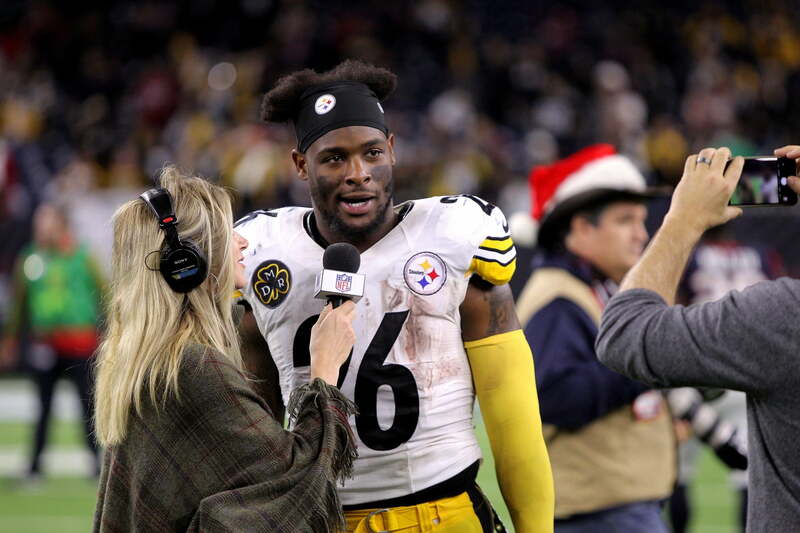 He was spotted partying in South Beach, among other rather interesting events during what was a drama-filled season for Bell and his soon-to-be former Steelers team. Well, the All-Pro back has now broken his silence on social media. And it’s an absolute doozy. In responding to a video NFL Media posted on Twitter linking Bell to the Baltimore Ravens, Bell had a classic social media response — one that will set fans off in a big way. Just imagine Bell deciding to leave Pittsburgh for the hated division-rival Ravens. That would be some next-level petty stuff right there. The objective mind in us also concludes that a Lamar Jackson and Le’Veon Bell backfield would be all sorts of fire for the Ravens. Alas, it might not be. Baltimore already has a strong young group of backs. Meanwhile, Pittsburgh is seriously considering placing the transition tag on Bell. One can still hope, right?